Janis Strelnieks may miss one more EuroLeague game, while Tarik Black is out for sure. 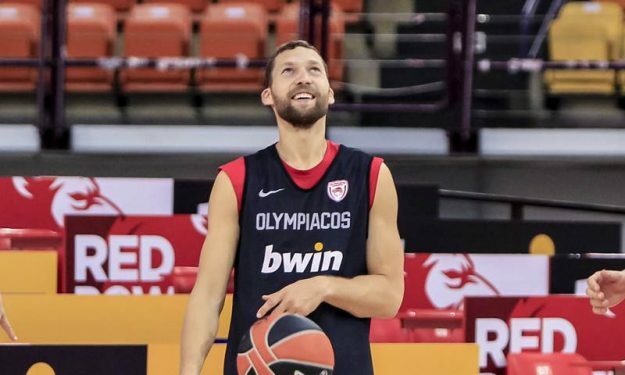 Janis Strelnieks who has missed last week’s game against CSKA Moscow has not practiced yet with Olympiacos and his presence is doubtful for the big EuroLeague match up against arch-rivals Panathinaikos. Strelnieks has suffered a leg injury two weeks ago and also missed the game against AX Armani Exchange Olimpia Milan, but stepped on the court for four minutes in the win against Maccabi FOX Tel Aviv. The Israeli powerhouse which added Ramon Sessions will miss Tarik Black in the upcoming game against Real Madrid. The club confirmed that Black will not be fit for the game.